Some of you longer term readers (AKA my mother, best friends and my dog) will remember when I started South Molton St Style the quest was to put together the perfect essential wardrobe. It was my whole reason for starting the blog, and it has actually worked. However, I've found posts like these take longer to put together and I am so short of time at the moment. In a nutshell it has been 6 months since I did a post about it... Sorry. Since I started the blog I culled my wardrobe down to a third of the size it was. I had tonnes of pieces I bought on a whim, and sold them all on eBay and Vestiaire (which randomly ended up in me working for them, thank you to Holly at Goodley for the introduction) and used the money to buy quality items. The first one I invested in was a wool camel coat. There is a reason that despite the varying trends, mothership brands like Yves Saint Laurent, Stella McCartney and Celine do these every season = they are an absolute essential. Coats are important, especially right now as we need them in Britain from September through to June. It's easy to go a little nuts on the price points, but then so you should. My Whistles one has lasted me 3 years and it's £250 price tag means it's probably cost me about a £1 per wear. I dry clean it every year and it looks brand new. It's love. It looks amazing with all my denim blues, greys, jeans, white tees and shirts, leather pieces. In a nutshell, you'll wear it everyday. So buy one! I'd forgotten all about mine up in the attic, thank you! Great post, this really is one item that never goes out of style! 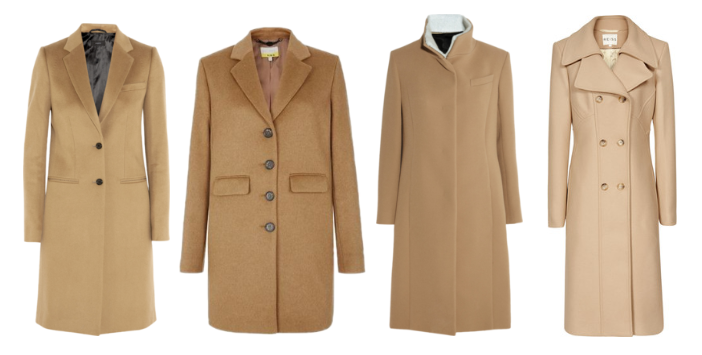 Camel coats are gorgeous but there is something about the colour that just doesn't work with my skin tone. I try EVERY year thinking I'm going to look like a super cool bean but every time it just doesn't suit. Sadface. These shots are gorgeous though. 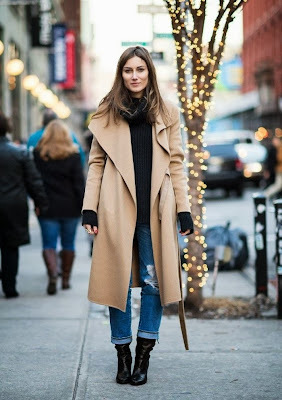 For the girls who can actually wear a camel coat, I salute you!